Believe it or not I am still kickin'... I know, seriously, it's hard to believe considering it's been almost a month since my last post. For all you guys who check my page regularly, I apologize that I've taken so long to update my blog. I have been considering making some changes to the frequency in which I update my page. I believe that I might go to bi-monthly format--posting once at the beginning of each month and then again a summary at the end of each month. I haven't completely decided on this yet... So we shall see I guess. 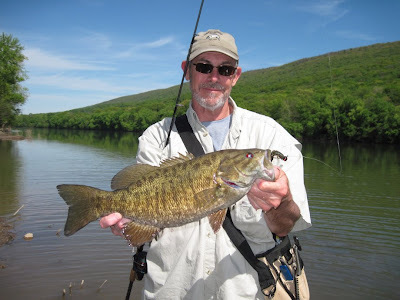 For now, my intentions for this entry are just to provide a brief re-cap of this past May's fishing. If you live anywhere near central PA (or the east coast USA for that matter) you can attest that this spring has provided some of the strangest and most extreme weather that we have experienced for a long time. We have had tons of rain, some nasty storms (num erous tornadoes), and now extreme heat... this has been such a weird year. 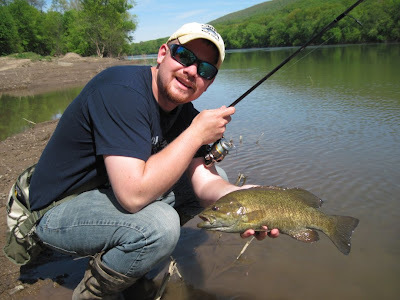 Likewise, the fishing has been strange as well... River conditions have been blown out consistently, with just small windows of fishability opening at times in certain locations. For the most part I've been trying to dodge the high water flows by focusing the majority of my attention on local lakes, chasing mainly muskies... w/ no luck (big surprise, lmao)! Still, Marianne, Lucy, and I did have one really nice evening trip, were Marianne caught 3 nice largemouths--she is becoming quite a fishergirl! As far as the river goes, we have been picking up some nice smallmouth here and there, but only at our "high water" spots--which are few. My dad has been putting in a lot more time than I have on the river, and I should mention that he sent me a pic of a beautiful 21 incher that he caught a couple weeks ago. Unfortunately the pic was pretty blurry, so I won't post it... But definitely know that the big fish are still out there. Nice one Dad! Also, I was fortunate enough to make a (VERY) short trip out to visit my buddy Zack and fish the Allegheny river for muskies. Luckily, I must have hit a feed window just right as I was hooked up to a nice low 30 inch range musky within my first 20 minutes of fishing... Unfortunately, the fish threw the hooks as I was trying to land it. 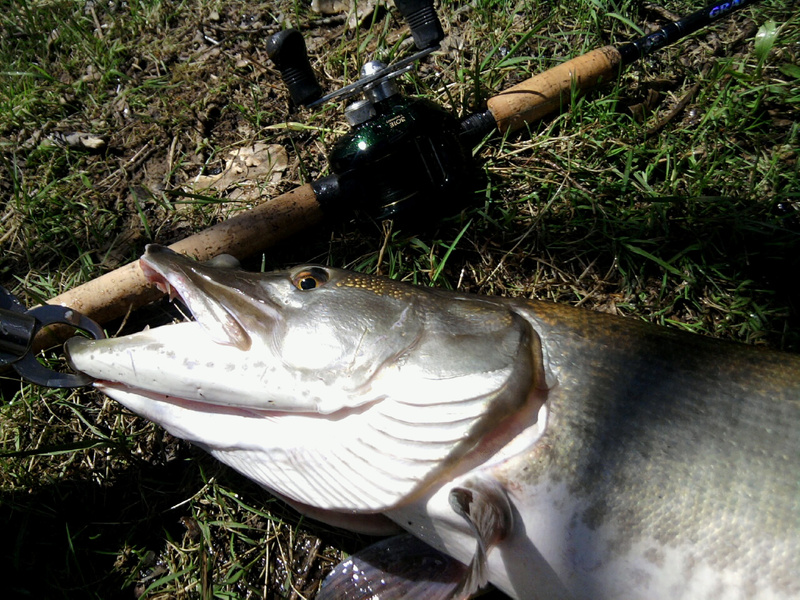 However, an hour later I was hooked up to another (slightly larger) fish that I did end up landing... It measured 37 inches, and had a ugly mug with it's injured upper jaw--not very photogenic! 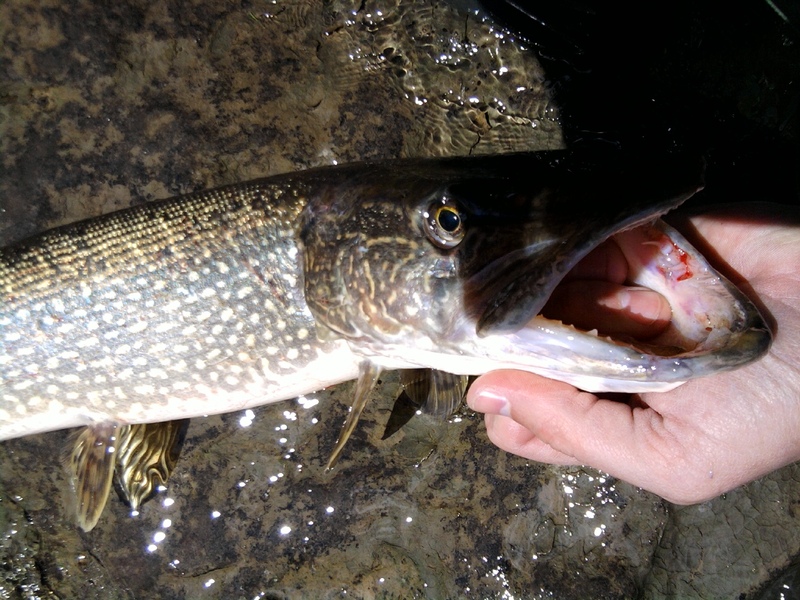 I also caught a nice little norther pike to round out my toothy fish action for the trip. My buddy Zack also connected with a beautiful 41 inch musky later that evening, when we were fishing on our friend Mike's boat. 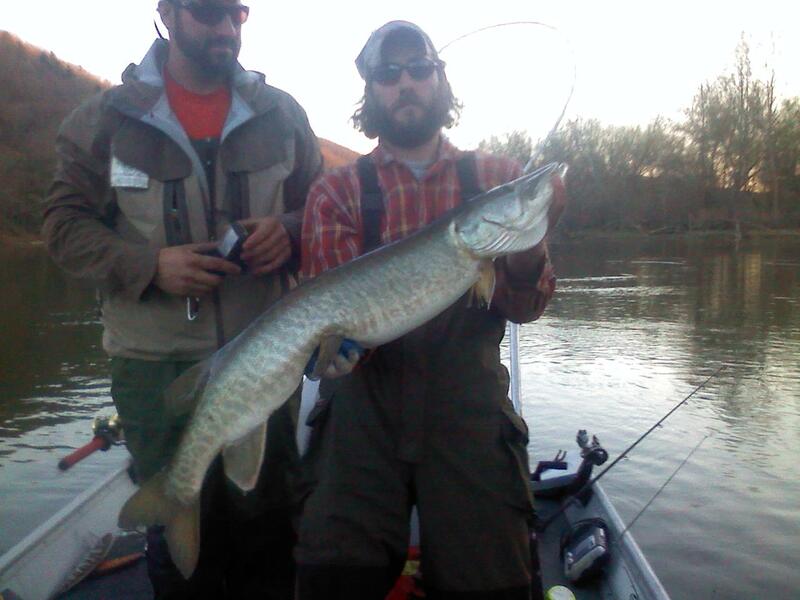 This was Zack's new PB musky, and it was great to be a part of the experience... and real nice to watch her swim away. Mike and his dad Mario also landed some really nice fish in the following days after I returned home... One of their fish was a 45 inch giant! A really FAT fish. I wish I had the pictures to share with you... seriously impressive! Nice work guys! Of coarse I forgot my camera on this trip, so the only pictures I have are cell phone pics... a bit lacking I know! Well, I guess that about wraps it up for this past month... I will try to do better next month at keeping things updated and will hopefully focus a bit more on capturing quality photos when the opportunities present themselves. I wish you all the best of luck in this upcoming month. Let's hope June is much more stable than May, and that the fishing is even better! That's all for now.